Extra space and natural light: the merits of good attic conversions created by Steven Cleary Carpentry and Building Services. Attic conversions are a great way of adding space, whether you choose to go for permanent or temporary access. In many cases for safety’s sake, we prefer permanent access. A proper set of stairs instead of flimsy ladders. 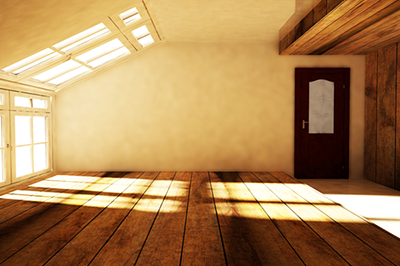 Sometimes, you may be happy with a few skylights, but attic conversions can go beyond that. Especially if you need to use the attic room on a regular basis. Any major changes to the roof may require planning permission. Other than that, attic conversions come under ‘permitted development’, which means your conversion could be exempt from planning permission. Seen below are the kind of roofing types commonly seen in loft conversions. The first Mansard Roofs first came about in the 16th century. They gained popularity in late 18th century France as a way of circumventing height restrictions. Their almost perpendicular angle allows for extra headroom without compromising on the roof cover. Typically, Mansard roofs support dormer windows. A Dormer Roof can be placed atop another roof type as a dormer window, or span most of a whole roof. At full length they are a popular companion with a Mansard or a gable roof, especially on bungalow conversions. If you have a semi-detached or a detached house, there’s half a chance it may have a hipped roof. Though aesthetically pleasing, hipped roofs offer fewer space options for a loft conversion with skylights. A hip to gable conversion addresses the issue without fuss and allows for the addition of a dormer roof as well as Velux skylights. Steven Cleary Carpentry and Building Services, 24 January 2017.